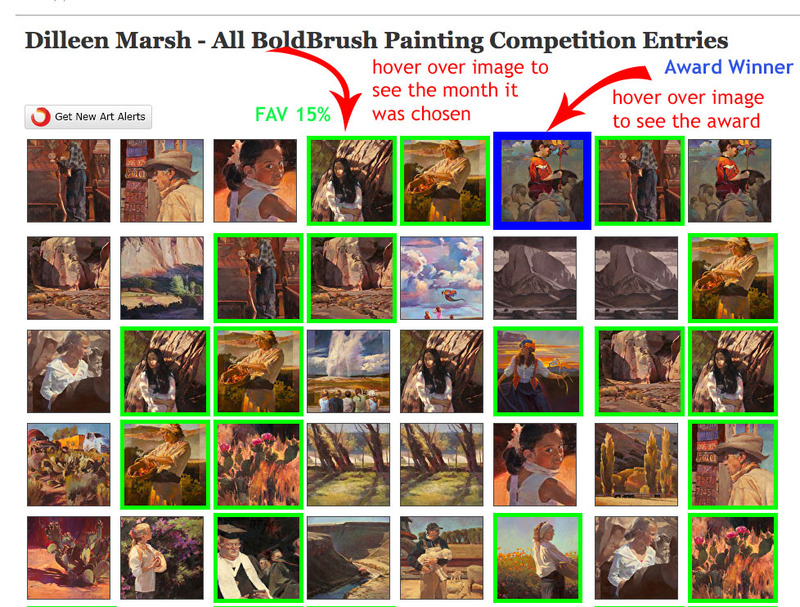 BoldBrush — How do I see all of my contest entries and my FAV 15% selections? hover over any thumbnails that have green or blue boxes. You will see image information for each entry as well as the entry date. Hover over the thumbnails for more info. If need be you can click on each one, copy the details, hit the back button, repeat and you have a list for your reference.